Stunning floor lamp made and designed by Maison Jansen, France 1970. 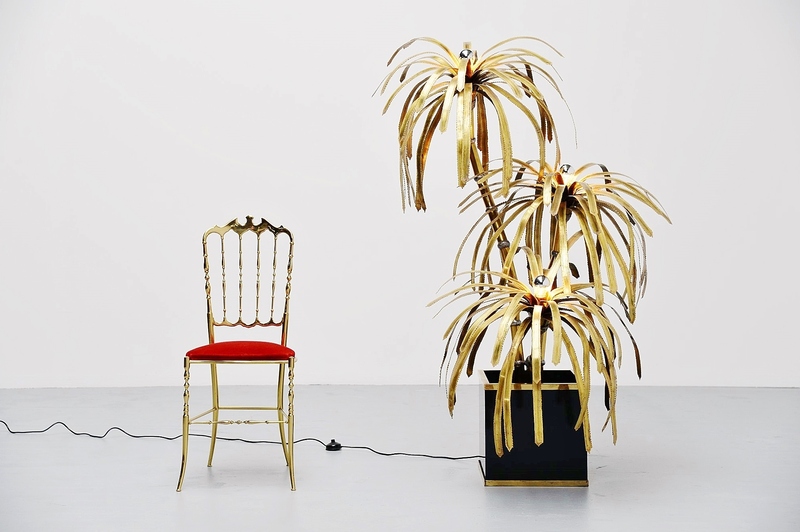 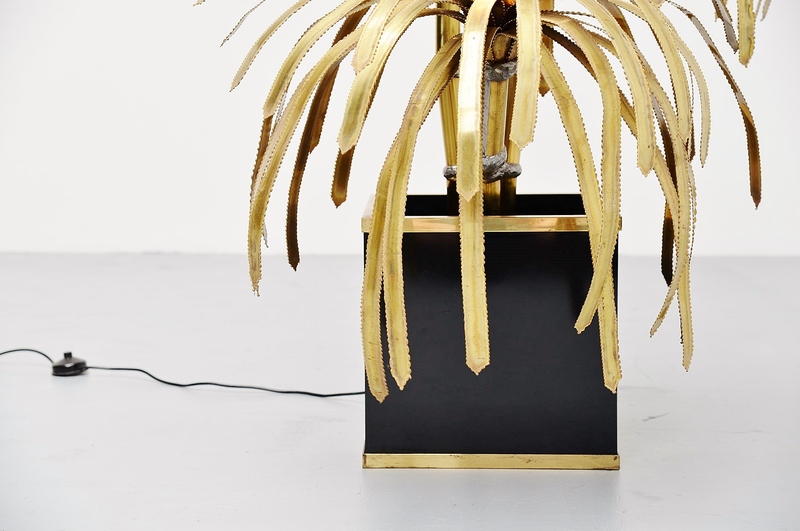 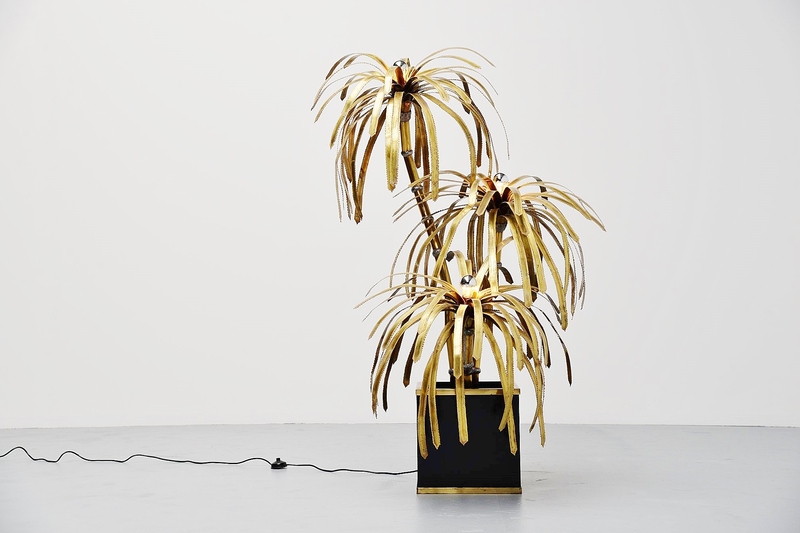 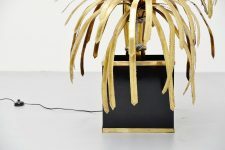 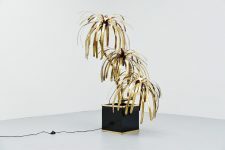 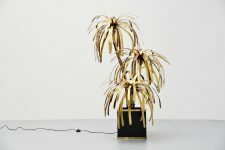 This spectacular large palm tree floor lamp has a black laminated base with brass edges. 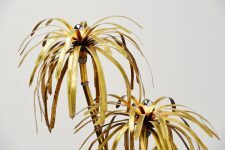 The leafs are made of brass and have a very nice patina from age and usage. 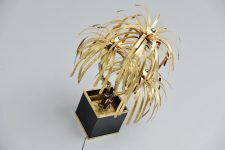 Lamp gives fantastic light when lit and works perfectly.